Yes this is my first year with the support. I started cycling when I was around 11 or 12 at a local club called Team Keyne. I then went on to the british cycling talent team as a youth rider doing mostly track and road. After that I got onto ODP and there was a lot of focus on track racing and I went on to get 2nd at the Junior World Track Championships. After this I moved onto the road and I joined Motorpoint-Giordana and then Node 4-Giordana as a final year junior. 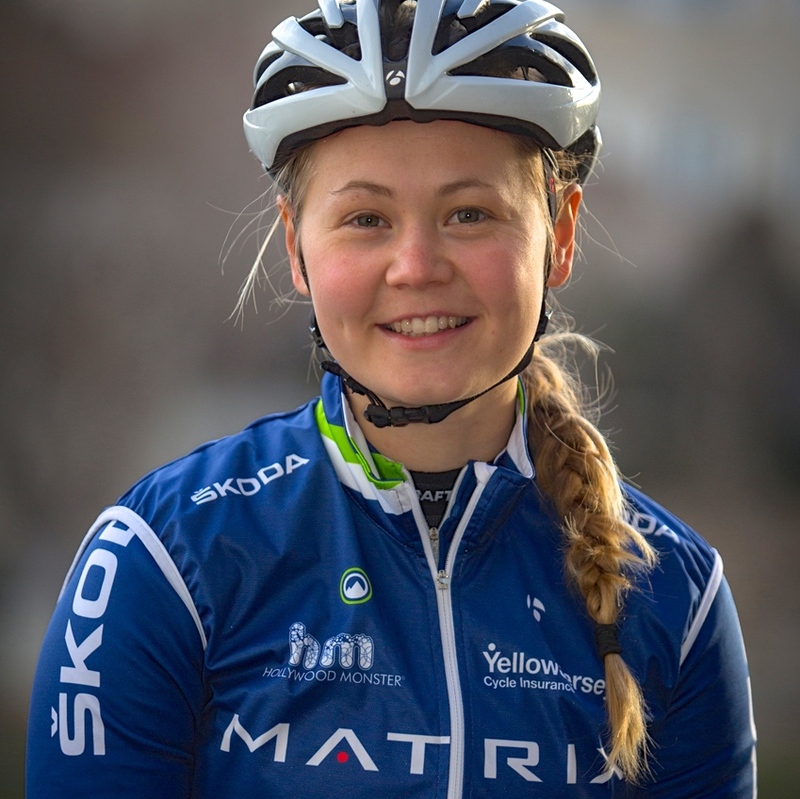 I joined Matrix Fitness in 2013 with a full focus on the road and have been with the team since to try and help me with my road career. I will be riding for Matrix Fitness, they are the first women's domestic team to make the step up to become a UCI team. We are starting off the season with the classics, the first race is Omloop Het Neiuwsblad. We are also racing in the second edition of the Women's Tour along with a lot of UCI races throughout the season. We have just had a two week training camp in southern France. I will be going to Belgium on 26th February straight after our team launch to race on the 28th February.